Doc, that Mercury V sounds terrific - it's so versatile it could easily be the only amp you'll need unless you're playing in an arena or outside! I did manage to scarf a handful that later ended up in the built from scratch "California Dreaming" dual 6L6 amp that is my avatar image. Yet Korg is the one making VFD modules for micro preamp triodes. They already exist. There was a mention of this on the 1st page of this thread, but bringing it up here mostly as a point of irony. I have no way to confirm/deny Korg's statement about the factories and workers who make tubes, though I honestly wouldn't doubt it, given what I see with mechanized automation in the automotive world. I really didn’t know that tube amps could produce this range of tones. I couldn’t be happier with the amp. Just striking a simple G chord brings out all of these over tones that I am not used to hearing. It’s like not only did my amp get better, but my guitars did, too, and my guitars are no slouches. I just need to learn how to take care of this amp, which is going to need more “maintenance” than the computers that I am used to playing through. It’s weird. I grew up playing modelers. Then I got into a Mesa Dual Rectifier roadster and a Marshall TSL. Then I went back to modelers and didn’t miss them. This amp makes me wonder why I spent so much time, money, and effort trying to make the digital stuff sound like the analog stuff. To be fair, I have been screaming for 10 years that tube amps need a line out so that you can run to a PA or recording desk. Mesa did that with the cabclone, but when I played their amps, including the new TC-50 combo, I wasn’t impressed enough to switch. That’s all personal opinion, though. I played a show last night using the line out to the PA and that is what the rest of the band was hearing. They all said it was the best tone that I had brought to a gig in the last year. The only thing I miss from the Kemper is the tuner. That’s easily fixable. I can now tell the difference between the modeling world and the tube amp world much easier. I was skeptical for a long, long time. I think I just finally found the right tube amp for my playing style. Yeah, TGP has had this discussion. A couple of points they make is: 1. They're gonna stop making tubes, and 2. SS is reliable and tube amps are fragile. My refutations are 1) They'll keep making tubes. China, Russia, and Czech all have factories, and it seems profitable enough. 2) I've had SS amps fail and they are unfixable. To the landfill with them. My tube amps are all going strong. If anything, it's the ribbon cables or PCB traces in my tube amps that are vulnerable, same as with the SS amps, but I was able to fix that in the tube amps. 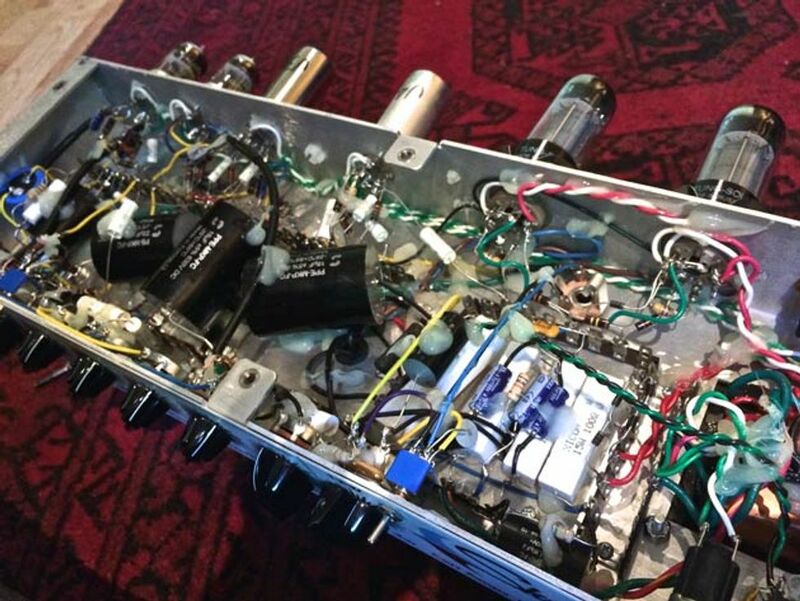 My own point-to-point tube amp kit builds are bulletproof. Bulletproof. It's a discussion that stretches across many zones these days, not just music. Folks that have had limited exposure to the human made products of yore, like to think that modeling, SS, and PCB amps easily compete with point to point all tube amps with all tube reverb and proper hi grade components (and old school USA brand tubes) that cost a fortune now but back yonder were very common. We like to think that it's a myth and that the common product we are exposed to sounds the same as it once did. It doesn't. In terms of discussion: people don't know what they don't know. If you have lived what your interlocutor has not, you can't "give" him the understanding he doesn't already have by exposure to a vanishing breed of equipment. hallwayminstrel wrote: Yeah, TGP has had this discussion. A couple of points they make is: 1. They're gonna stop making tubes, and 2. SS is reliable and tube amps are fragile. I've had failures in both tube and solid state. In some cases it was fixable, and in several other cases, the collateral damage from a shorting output transistor that takes down the supply rail is much worse, or one that overheats/shorts out the power transformer. At that point, SS stuff is cheaper to replace than rebuild. Tube amps are simpler in most cases, especially the old ones. Makes 'em easy to work on and repair for the most part. However, comparing an old Gibson tube amp to a modern PCB one is interesting in that the Gibsons from, say, the 60s, have rat nests for wiring in them, and are actually worse to work on than any PCB amp I've encountered. I still like the fact that tubes will withstand a huge EMP, and SS stuff will straight up fail. I doubt tubes will ever fully disappear, as that trend alone makes them invaluable to the military. Carr Skylark. Blobs of glue and a mass of caps, wires, transformers, etc. To us, a mass of inconvenience for amateur maintenance. The upside is a richness of sound quality and harmonic character second to none. It doesn't seem that there is much research into tube technology that could result in a more efficient product. I guess the closest thing we've got is the nu-tube technology which looks promising but it's still a low power device. Here are some pictures of the point to point amp that I built about 12 years ago. I need to clean it up and put it back on the air. It shredded my test speaker and I've never bothered to replace it. Duh! It was a fun lunch hour project that took several weeks to complete, but I'd never be able to duplicate it as I scrounged all of the parts from an old parts stockroom where I worked at the time (the company has since gone out of business - not my fault!). Plus I had a small machine shop at my disposal. I couldn't find filter and output transformers to spec so I just grabbed whatever was at hand in the stock bins. I almost fell off my chair when I plugged it in for the first time with tubes installed and it worked. Now that was sh@t luck! I do run it off of a step down transformer as some house voltages run higher than 117VAC. It's clean tones are pristine. Just got a Christmas bonus today which has me about 80% of the way there for the new Mercury V (which, with its 1 12" combo, low watt setup with attenuator, is based on the Skylark. Difference being that the Skylark is the Fender voiced variant, I think the core circuit is derived from a deep study and then mod of either the Harvard or the Princeton, can't remember which.. And the Merc is of course is basically a Plexi in a 1x12 16 watt package with an attenuator and a creamback, and then bounced forward an additional two decades worth of gain for three basic stages, with the hi low channels and built in jumpering of them, and a series- parallel switch to run the two channels stacked or in series. Unreal and worth every penny, you can even order the cab with a custom shell. There's also a head only version of both). Not sure if you saw Lance Keltners demo of the Skylark, but as mentioned it's very much similar in ways to the Mercury V, but you'll recognize that Fender style breakup right away. Doctor Turn wrote: It's a discussion that stretches across many zones these days, not just music. Folks that have had limited exposure to the human made products of yore, like to think that modeling, SS, and PCB amps easily compete with point to point all tube amps with all tube reverb and proper hi grade components (and old school USA brand tubes) that cost a fortune now but back yonder were very common. This is the exact problem that neuroscientists can not yet contribute to solving -- building the complex logic models that super-experienced experts in a field (almost any field) know by experience - and can not be "taught". Yet. For example, the master soup maker at the industrial plant knows what to add to the giant pot of soup by tasting. They had the right recipe, but they could not control the flavor profile of all ingredients (grass, milk), so they still need master soup makers, even today. Yes, you can interview the soup maker, observe the person working, and fMRI their head while they do their job, but nothing today will transfer subjective experience of one to the knowledge of another, or into something that can be replicated. But they keep trying. 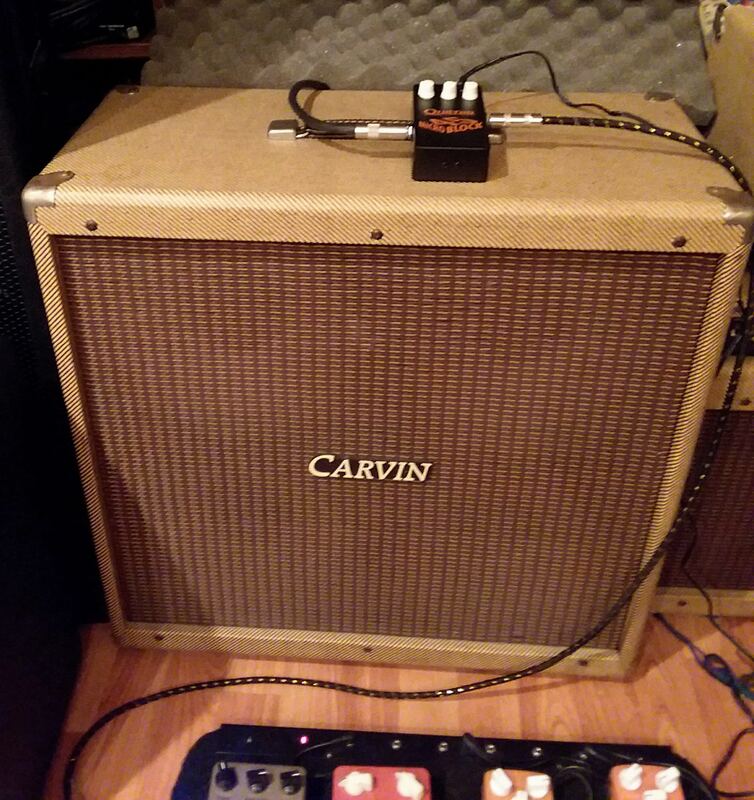 I have a rare '61 tweed GA 19RVT Falcon (7199 tube version, supposedly 204 ever made in tweed, when Gibson switched to the Crestline amps in '62) and that Carr amp looks like a dream by comparison. But, even with the rat nest that is my Falcon, I hope to never sell that amp, as it has a particular sound I've never heard in any other amp or modelling setup. The maintenance pains pay dividends in an unique sounding amp with the best spring reverb and tube tremolo I have ever heard. It also gets a nice overdrive. Also, tubes are a pain to find for it. From what I've heard in person in the Kemper, it's a remarkable piece of technology. From what I've heard and seen online with the Helix, it's also remarkable piece of technology. From aural perspective, I'd love to use either for studio (infrequent) and/or live (semi-frequent) situations. That said, I'm just too darn lazy and a little intimidated to learn it all. I've spent so much time putting together different rigs that have either wet/dry setups or stereo setups (and quite frankly I still don't understand how it all works, but luckily one of my good friends does and he idiot-proofed it for me after even after multiple tutorials) that I can't bear the thought of having to re-set everything up and learn all new switching systems. I've given thought to getting a Helix since it seems a little more intuitive to me and is far less intimidating for how I interpret things. I'm waiting for a friend to pick one up so I can try it in person for a long period of time before taking the plunge for real. I'm also afraid that I'll love it and replace one of my rigs with it. The idea of having one medium-sized pedal board to replace an entire large pedalboard and multiple head/cab rig is very intriguing - especially since the older I get the less fun I have in setting up and breaking down after a show. For a small tube amp THIS Laney Club 12R sounds awesome. And some Gilmour Floyd tones. Laney and a Joyo Harley Benton pedal Demo just for fun. Last edited by Omsong on Tue Dec 26, 2017 8:29 am, edited 1 time in total. 2Plus2isChicken wrote: I don't think any of it (tube or solid state) is going anywhere. It's all just going to get better. Solid state stuff is as good as it's ever been, especially with the new analog solid state stuff like Quilter and DV Mark make, and of course with digital modeling such as the Axe-FX, Kemper, Headrush, Line 6 Helix, etc. Basically now is the best time in history to be a guitar player, except for what's popular on the radio now. Ugh. 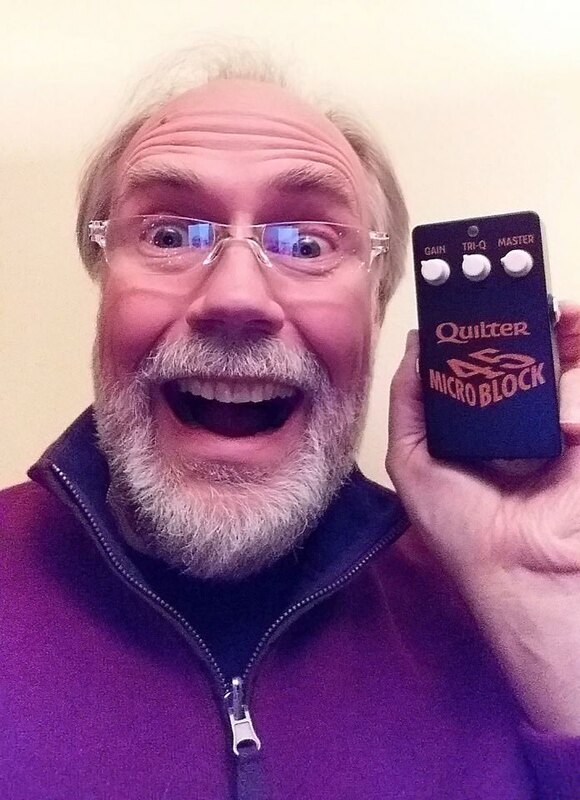 My wife gave me a Quilter Microblock 45 for Christmas. I mostly wanted to take it to gigs as a backup amp in case a tube blew or something. But as good as this little things sounds, I have a feeling I may be trying some gigs with it all by itself in the near future. I've wondered about those little Quilter amps. I know the 45, impressive for it's size, is a smaller version of their 101 but I've heard reviews (of the 101) that range from NO THANKS to REALLY IMPRESSIVE. What's your take on it? Does it sound like a hundred other decent SS amps or can you get a tube vibe out of it? Omsong wrote: I've wondered about those little Quilter amps. I know the 45, impressive for it's size, is a smaller version of their 101 but I've heard reviews (of the 101) that range from NO THANKS to REALLY IMPRESSIVE. What's your take on it? Does it sound like a hundred other decent SS amps or can you get a tube vibe out of it? I first tried the Hwy 101 amp and returned it. Impressive little amp, but too dark for me. Later I got an Aviator Twin Ten combo amp and have gigged with it a lot since getting it. It's an excellent clean amp that takes pedals just as well as my Carvin amps do. I really wanted to just have the Microblock around to use as a backup (and practice) amp. But it sounds so good, I'm looking forward to an opportunity to gig with it! ElfDude wrote: I first tried the Hwy 101 amp and returned it. Impressive little amp, but too dark for me. Later I got an Aviator Twin Ten combo amp and have gigged with it a lot since getting it. It's an excellent clean amp that takes pedals just as well as my Carvin amps do. Have you ever played a Roland Blues Cube Hot 30? I'm wondering how it compares to the Aviator considering a significant price difference. Last edited by Omsong on Thu Dec 28, 2017 6:41 pm, edited 1 time in total. Never have tried a Blues Cube. Sorry. Apparently, a 12A*7 was purchased from a foreign supplier on Ebay and was confiscated when attempting to ship it through their International shipping service. One of the viewer comments mentions that the USPS policy is to not ship vacuum tubes as well. FedEx and UPS both use their own airlines and, therefore, their own, separate, regulations.